As we enter a second season of protest of our country’s flag by young, wealthy black NFL athletes, millions of fans will continue to turn off America’s favorite past time. The NFL, whose brand was once our country’s most uniting one, is rapidly re-branding itself as a divisive one. In a sport where a player’s lack of decorum deemed detrimental to the game – such as celebrating in the end zone – is met with harsh penalties, the NFL’s corporate leadership has taken a knee as they allow their platform to be used for political anti-America sentiment. It is possible that by visiting our past, Americans might gain insight as to why successful black American athletes feel compelled to kneel as we honor our flag and white corporate leaders refuse to take a stand to defend it. In a world where slavery, totalitarianism and kingdoms were the accepted norm, the young American experiment was indeed a paradox. Though it was America that introduced to the world game-changing concepts like “We The People” and “We hold these truths to be self-evident, that all men are created equal,” it would take another 87 years and over 600,000 American lives to atone for slavery and to begin to align itself with our Founders’ vision. In the meantime, there was another reality for millions of African slaves whose experience mirrored that of a young African boy brought to America in 1848. He arrived in the belly of a slave ship and was sold with his mother at an auction house in Charleston, South Carolina. Orphaned by age eight, his harsh, abusive and deprived American experience was just beginning. How can our nation reconcile the depravation of that young eight-year-old slave with inspirational success stories of other Americans during that same century? For an example, the American culture that granted opportunity to a middle-aged Texan, a Republican, whose “federally protected” freedom allowed him to pursue his dreams, to work, risk, overcome and to prosper. Respected as a pillar of his community, he was a successful entrepreneur who owned over 100 acres of farmland, which he paid off within two years. He also founded the first church and elementary school in his region of the state. He was referred to as fiercely independent and a very proud American. This successful Texan farmer's gratefulness and unique connection to an eight-year-old South Carolina slave boy gave him an enduring love and respect for his country and his flag. The two, after all, were one and the same – my Great-Great Grandfather Silas Burgess, whose name I’m honored to carry. Is it possible to embrace a national history today that is such a dichotomy regarding the human experience? The liberal Left says that we shouldn’t. They feel that all reference to that part of American history should be destroyed and our country should transfer wealth to atone for the deeds of white strangers who died 150 years ago. They suggest that slavery is the root cause of the misery found within today’s urban community. Conservatives, on the other hand, point to the success of the Texas Republican as an example of the possibilities available to all Americans when individuals are granted a choice to adhere to the principles and values of success. The middle-aged Texan proved the truth of this philosophy as he partook the fruit of his labor. His gratefulness and unique connection to an eight-year-old South Carolina slave boy gave him an enduring love and respect for his country and his flag. The two, after all, were one and the same – my Great-Great Grandfather Silas Burgess, whose name I’m honored to carry. Millions of other Americans from every other culture share this American experience. It is the gratitude of our present generation for our ancestors’ grit and tenacity that forges a spiritual connection that gives us pride in our country’s flag. It is this connection that most black Americans do not have due to the sanitization of their history. So why do I stand? I Stand- in gratitude to an eight-year-old boy, my great-great grandfather, who remained hopeful, tenacious and faithful as he grew to proudly serve his family, community and country. I Stand- in gratitude to a grandfather whom at the age of 15 years old, volunteered to serve in WWI. As a successful farmer, he raised 12 children who would all earn college degrees and taste of the mid-1900’s American dream. I Stand- in gratitude to a father who succeeded in the day of institutional racism in the arenas of academia, as a researcher, an entrepreneur, a dedicated father and husband and a pillar of his community. He once recounted that his greatest life decision was volunteering and returning home as a proud WWII veteran. I Stand –in gratitude for the proud, successful, entrepreneurial and segregated Tallahassee, Florida, community where I grew up. The people of that community were determined that they would never be looked down upon or pitied as a race of victims. I Stand- as an example for the millions of black youth who have not been taught to love God, country, family and themselves by the liberal Leftist overseers who have controlled the urban community for the last 60 years. I Stand- against the sanitizing of our history. The Left has already done so within the black community, resulting in the lack of gratitude seen on today’s NFL sidelines. I Stand- as a voice to the NFL corporation leadership…it’s time to Stand Up, Man-Up and defend our country and culture. This will only occur when patriotism is valued over popularity, profit and politics. 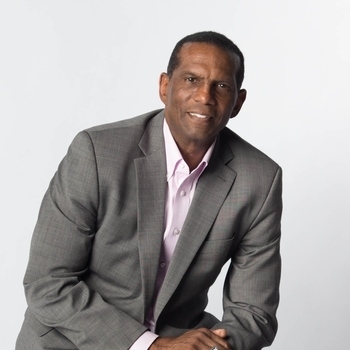 Burgess Owens is a former Super Bowl champion who played ten seasons in the National Football League for the New York Jets and the Oakland Raiders. Author of "Liberalism or How to Turn Good Men into Whiners, Weenies and Wimps" (Post Hill Press, July 19, 2016), he is currently CEO of Responsive Health Care Solutions and a motivational speaker who travels throughout the country. Visit him at burgessowenstalks.com.